Are Colress and Kyurem a perfect fit as Trainer and Pokemon? Will Colress befriend Kyurem? 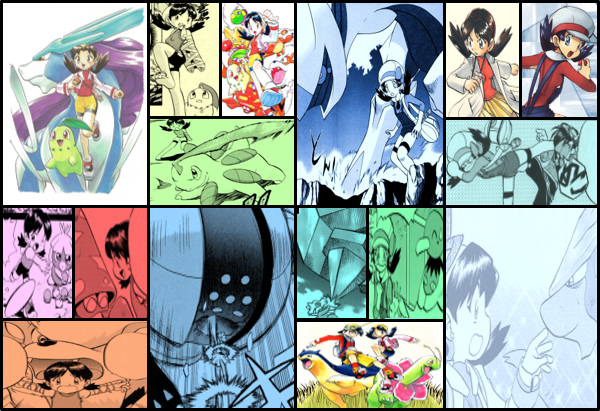 Discussion in 'Pokémon Manga Discussion' started by shoz999, Nov 1, 2018. So it just occured to me in a few threads ago that I think there's an even bigger reason why Kusaka gave Colress Kyurem other than the fact to make him dangerous. You see I think Colress and Kyurem actually have a lot in common in one particular theme, a never-ending emptiness that longs to be fulfilled. Colress, regardless of which version, has a mad lust for knowledge to make Pokemon stronger. If it means being friendly to Pokemon, he'll do it but if it means treating them like tools and experiments, he'll do it in a quick second. Even though he does care about his Pokemon and despise certain evil people, he's the kind of person who himself will change in a heartbeat because of his endless void that desires knowledge. 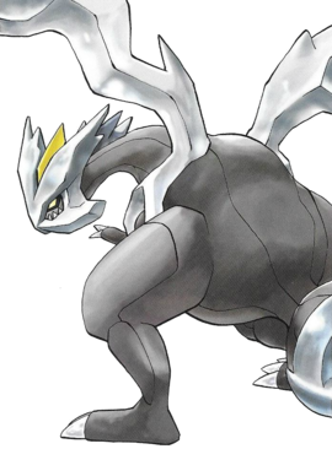 As for Kyurem, he has an emptiness that desires to be filled with truth and ideals. Similar to Colress who has a never-ending desire for knowledge, Kyurem has a never-ending desire for truth and ideals, his options being stuck to Black Kyurem and White Kyurem, which are sort of like his incomplete forms, a step away from being the original dragon of legend. For those who don't know, Kyurem, Reshiram and Zekrom were all one dragon. Basically what I'm saying is that Colress and Kyurem share the fact that they both have an endless void that cannot be really fulfilled, continually searching for meaning, answers and knowledge. With that being said I think when Colress, as many fans predict, finally comes to the decision that Pokemon grow stronger as friends not tools, I think he will befriend Kyurem, journeying together for their endless quest for answers. We might even see him in the Sun and Moon story arc if were really lucky. Although that may not happen, there is some truth into the fact that Colress and Kyurem have a lot in common with the fact that they both have an unending void for answers. But he didn't give it to Colress. He gave it to Zinzolin. Kyurem's been used by three different people so far, but nothing has really indicated it's meant to fully belong to someone (other than Zinzolin, who actually caught it, of course). Fair point but I specifically said the writer Kusaka. Plus while Ghetsis didn't intended it that it that way, it seems Colress has not only taken full control but is 1) intrigued by Kyurem's power and how Zinzolin got the dragon in the first place and 2) Colress doesn't seem to care much for Ghetsis as he let Blake roam freely on the ship recalling that Blake had plans to arrest Ghetsis and his iconic smile seems to change a lot into a blank face whenever Ghetsis orders him around or explains his true colors, like having no love for his son. I think Colress has big plans for Kyurem and that he is definitely going to betray Ghetsis, maybe when Ghetsis needs Colress the most lol. I have also read another argument. It’s about Lack-two’s lack of emotion. 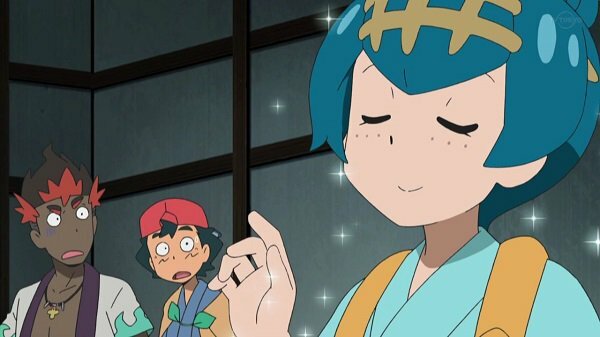 It’s just right for Kyurem. I suppose that could work but the major difference between Blake and Kyurem is that Blake doesn't really seem to desire anything to fill that lack of emotion, at least right now anyway where as Kyurem is a hollow husk that's an emptiness that desires to be fulfilled by truth and ideals. Although I can understand how Blake's a really good candidate to be Kyurem's trainer. Kusaka typically avoids giving Pokedex holders overpowered Legendaries without giving them a massive handicap to compensate. Unless he references the unused God Stone item, I can't see it going to Lack-Two, either.